Airframe and Powerplant Mechanics are involved in troubleshooting aircraft engines and systems, repairing and replacing components or parts. Employee must have the ability to accomplish structural repairs. Must possess FAA Airframe and/or Powerplant licenses. The auto mechanic services and repairs ground service equipment including portable stairs, fuel and food trucks, towing tractors, aircraft tugs, man lifts, APU's, company automobiles, and employee buses. Cabin Service employees perform interior cabin cleaning, cabin supply set-up and lavatory tank servicing on all types of aircraft. They also collect and remove trash from passenger, cockpit and galley areas, empty trash containers and ashtrays, and sweep and vacuum floors. They also perform janitorial work in United facilities and offices. These employees deal directly with the customers at airport locations. Duties involve answering questions on schedules and fares, on aircraft, handling service irregularities, and process minor claim settlements. Representatives at the smaller stations perform all United functions at the airport. Additional duties include baggage and cargo handling, dispatching of aircraft, air freight sales and service, and other miscellaneous assignments. Flight Attendants are responsible for the safety of the passengers. Duties include food and beverage service, assisting passengers and providing leadership during flight irregularities. You must possess a high school diploma or equivalent and a secondary education. Customer service experience is also a plus. You must be at least 19-years-old, be able to swim at least 90 feet, read, write and speak the English language fluently and have vision correctable to 20/30 or better. Height and weight must be in proportion and your height must be between 5’2"-6’0". Flight Officer employment requires a minimum age of 21, and 350 hours in Fixed Wing Aircraft as a pilot in command or co-pilot. You must be a high school graduate and have a FAA Commercial Certificate (ASEL) or (AMEL) with instrument rating. Vision can be no worse than 20/100 correctable to 20/20. Height must be sufficient to operate all aircraft controls. Second Class FAA Medical Certificate and ability to obtain First Class Certificate is necessary. If you are nit a U.S. citizen, you must be a registered alien with a legal right to accept U.S. employment. Prior to commencing training, those selected must possess a Flight Certificate or must have passed the FAA Flight Engineer written examination (FEB and FEJ, or FEX). Food Service Employees are responsible for the cleaning of flight kitchen utensils, equipment and facilities. They also operate dishwashing equipment and packaging equipment. Duties also include setting up meal trays and the preparation of salads, sandwiches and other cold dishes. A baggage handler, and air cargo handler loads and unloads passenger baggage, and containers of airmail, air express, and air cargo shipments. Baggage handlers are the people who make sure luggage arrives according to its final destination tag, on time. The baggage handler is responsible for sorting, stacking baggage on specified carts or conveyors to see that it gets to its proper destination. They also load cargo containers on and off planes. Ramp Service work consists of loading and unloading cargo, mail freight, baggage, and food services and supplies from the airplanes. Performing this work, employees must operate a variety of motorized equipment requiring a high degree of operating skills. They also perform baggage handling by using sophisticated and computerized baggage equipment. Reservation Sales representatives answer telephone inquires regarding fares, schedules, special services, and make reservations for air travel tours, car rentals and hotel reservations. The environment is computer oriented and the emphasis is on producing sales. These employees are responsible for selling United seats and related services to travel agencies and corporate communities. Emphasis is on increasing United market share in managing a territory of accounts representing millions of dollars in revenues to United. Secretarial and Clerical duties include word processing reports and correspondence primarily on IBM PC equipment, maintaining files, compiling statistical data, handling reception and telephone responsibilities and operating a wide variety of business machines. Shorthand and typing skills are required. 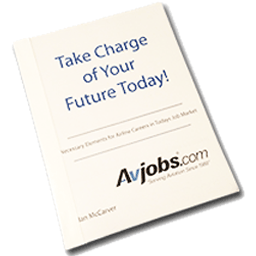 To locate educational facilities with programs related to this position, search Aviaiton Schools. Aviaiton Schools makes researching and finding an aviation college, university, flight school or professional training facility simple. United Airlines Position Descriptions, Duties, Responsibilities and Working Conditions.